Your Hardest Family Question: Is there such thing as a seasonal pattern for cheating? 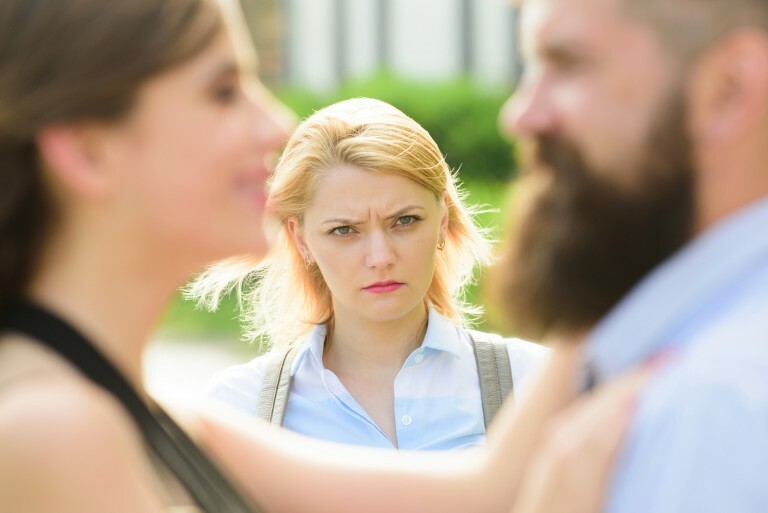 It seems like every spring, around the month of April, my husband starts to begin a pattern of noticing other women and actively looking to commit adultery. Unfortunately, he’s been successful a couple of times. We’ve been separated a few times now, but it never lasts. We always get back together but then it seems to be around the same time of the year it goes bad again. I’ve noticed that in the past few years, we seem to be doing okay but then around the same time leading up to Easter, things start to dip down again into the old patterns. Last year we got together again after the Spring and, although it’s been extremely hard, we managed to do some things okay, but now he seems to be falling back to his old habits again of communicating inappropriately with other women. Please help, I’d love to hear your thoughts. I can’t imagine how terrifying this must be for you as you hold on for dear life to your fragile marriage when each new Spring approaches. While we can certainly explore the possible reasons your husband weakens his resolve to stay faithful to you and his covenants, I believe it’s important for you to clarify what you’re going to do right now to protect your dignity (and your sanity). Focusing on the cause of these patterns can distract you from taking care of your own physical and mental health. If he’s been unfaithful to you in the past, please make sure you get tested for sexually transmitted diseases. And, don’t be afraid to put sexual boundaries in place to keep you safe until you know the truth about his sexual history. You aren’t responsible for providing him with abundant sexual opportunities so he won’t cheat on you. This will only leave you feeling more used, afraid, and resentful. Your sexual intimacy in marriage is something you both share with each other freely from a place of integrity and trust, not something you use to control another person’s behavior. Make sure you have the support you need from professionals, support groups (the LDS Addiction Recovery Program is likely available in your area)[i], ministering sisters, leaders, and others who are competent. While you can’t stop him from engaging in these patterns, you can decide what you will and won’t do in response. You get to be in charge of where you stop. That may mean that you pull away physically, sexually, or emotionally until you feel like he’s a safe person. You have to determine what you need to feel emotionally and physically secure and have the courage to create conditions that support these needs. Even though your husband might believe he’s powerless against this pattern, it’s simply not true. There might be other hidden dynamics at play, but he has to take responsibility for his own choices of how he ultimately behaves. It’s important to know that our agency can be limited when giving into temptation on a regular basis. Elder Todd D. Christofferson taught that, “Yielding to [Satan’s] temptations leads to a narrower and narrower range of choices until none remains and to addictions that leave us powerless to resist.”[ii] Perhaps he’s spent years indulging in addictive patterns and it’s difficult for him to believe that he has options. His options may indeed be limited due to these patterns, but it’s not impossible for him to choose a different way. He will need help from others to break out of these patterns. This is a choice he can make today. It’s unwise to wait until he understands his patterns before doing anything about it. His priority needs to be putting barriers in place so he can keep his commitments to his marriage. Then, once safely inside those barriers, he can begin explore and understand why he does what he does. He is in charge of recognizing and stopping the behaviors, even if doesn’t understand why. He understands enough to know that cheating on his wife is a problem, so he can start right there. Don’t let him blame some unknown pattern. That keeps him unaccountable and leaves you terrified of this mysterious force that’s controlling your husband. The truth is that he’s not being controlled against his will. He can do what’s necessary to get the help and support to stop and learn what’s happening to him. Even though the reasons for his behavior aren’t the first priority, it will be helpful for him to work on understanding himself and his personal patterns. He may discover he has seasonal affective disorder that wears him out every winter. He may have previous traumas that are linked to that particular time of year. In over twenty years of counseling with people, I know firsthand that we’re complex beings and we do things for a variety of reasons. There’s time and space to figure all of that out once he’s put up boundaries around his behavior. And, remember, even if he won’t protect your marriage, you can still protect yourself. I just noticed you have tried to leave him but keep coming back. I apologize! So you don't have a problem leaving after all! I'm surprised the therapist didn't address that. I'm not an expert on that, maybe someone can fill her in, but in my experience NO wife who has a husband who keeps coming back with flowers EVER stays with that man forever. When she's older she finally gets a clue and she wishes she put her foot down earlier. Do you love him enough to drive him to realize his only option is true repentance, or do you like the romantic attention he gives you more and are okay that he will never overcome this? If so that's pretty...(I know this sounds bad)...selfish, don't you want him to make it to heaven or is the thrill of marriage more important than eternal salvation? I had to come back and comment again--I was thinking this seems to be the only problem--you didn't mention anything else, so kudos for trying to problem solve and for staying. But then I thought wait a minute, the consequences COULD outweigh the negatives of divorce. What would happen if you got a deadly disease and died; what if he got someone pregnant and either needed to pay child support or he starts paying for feticide/embryocide? What's going to happen to your children spiritually? What's going to happen to him as he slides down this slippery slope--you're going to be worrying about more than plain adultery. Would it have all been worth it? There's no hope of being with him in the eternities if he's all, yeah I'm just compelled to be this way in the Spring (um... I might be able to solve this one for you...that's when all the college girls and school teachers are on spring/summer break...he might be out looking for them in public places); if that's what he told you and you sympathetically thought well maybe this is a disorder...either he's trying to trick you or he lacks willpower. Either way it's serious and can only end in misery.